Whether you want to make Earth Day crafts, space crafts or are looking at an all about me theme and talking about where your child lives this free printable Earth template is perfect, making it really easy to you to prepare activities without it costing anything and without having the stress of actually drawing things yourself! 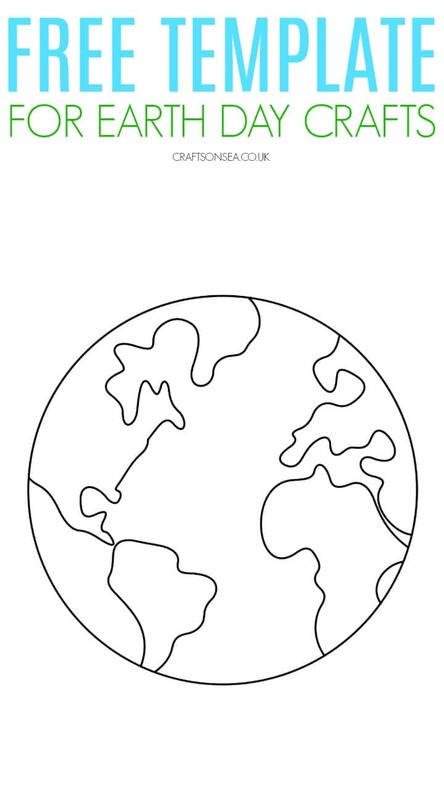 This free Earth template has been designed as a really simple picture so that it’s easier for younger kids to colour or decorate, obviously all the countries aren’t depicted on it (including my own!) but the idea is that you use it as a base for some art and creativity. There are lots of ways that you can use this earth template, you could use it as a colouring page, paint it or use it as a base for collages, you can see it being used in both this fingerprint Earth craft and this torn paper Earth craft. For older kids you could also use it for literacy practice writing something in the gap underneath the picture. I’m also sharing more Earth themed crafts and activities at the end of this post so make sure that you check them out for more inspiration. Want to make sure you don’t forget about this printable? Make sure that you bookmark this page or pin an image so that you have it to hand when you need it. Make sure that you print the actual download below though and not the images on this page or the sizes on it will all be wrong. Want more free printables? Why not check out our free tree template that’s perfect for creating seasonal crafts with your kids, we’ve got loads of fun ideas for how to use it too! 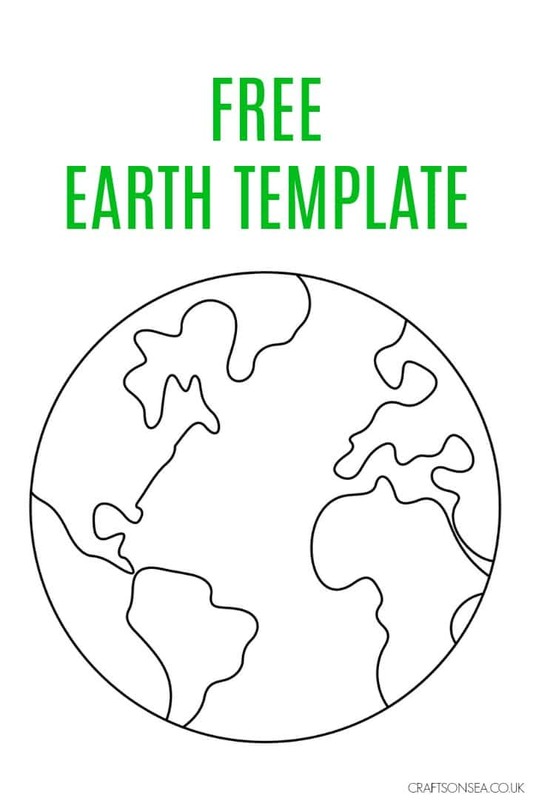 Download and print your free printable Earth template here – please note that this is for personal or school / preschool use only and not to be sold. If you are a blogger and wish to link to this template please link to this page and not the template itself. 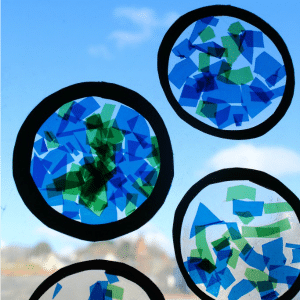 We love these stained glass Earth suncatchers which look great displayed in windows. 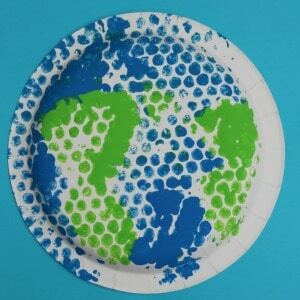 This easy Earth craft is a great way to get a second use out of bubble wrap.